It is a new year and both me and Mhairi have set intentions, made plans and written mission statements for 2015. Together we decided to take a month to really think through what we wanted The Bead Movement to be for us this year, both separately and as a team. In the beginning of July we started the adventure as an action plan for living life to the fullest. As a way to make sure we didn’t take life for granted, so we wouldn’t one day wake up and realize we had missed out on the life we dreamed of while pursuing our careers in the film and television industry. The Bead Movement has become an important factor in our daily life, it is our compass to make sure we are on the right track. And not only for us, but also for people who hear about. It became so much more than we first expected over that dinner at Hugo’s in West Hollywood. We have decided that one way of continuing this journey in 2015 is through monthly challenges. Since we are starting it up in February, what better theme is there than love? We have divided our Love Challenge into three parts, each with a specific sub-theme. 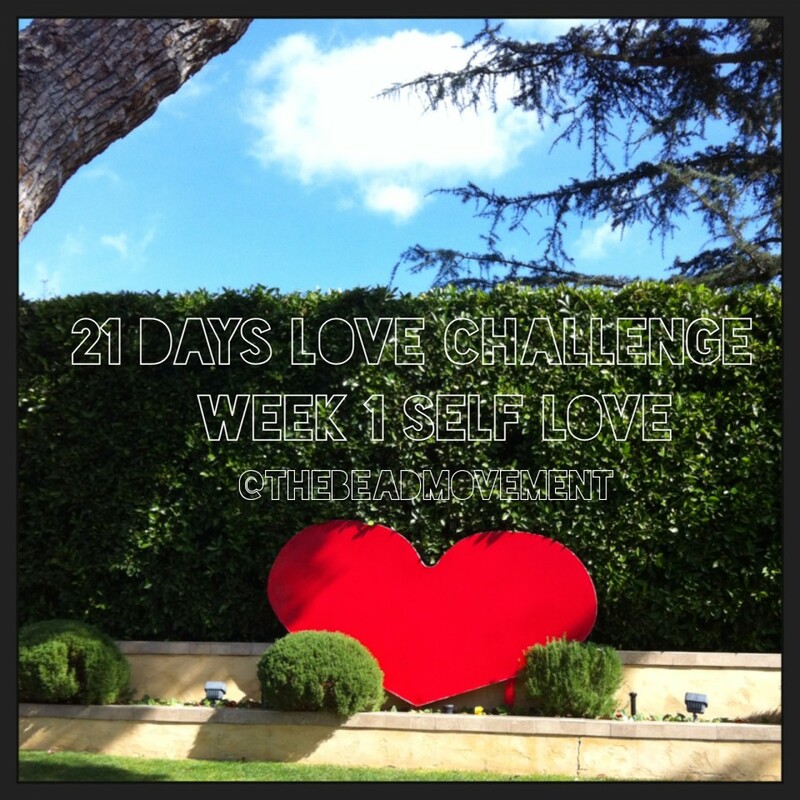 The theme for this week has been Self-Love. As any self-help guru would say; If we don’t love ourselves first, how can we possibly love anyone else? No matter how much it is a cliché, it is a truth. And the instant we started something happened. 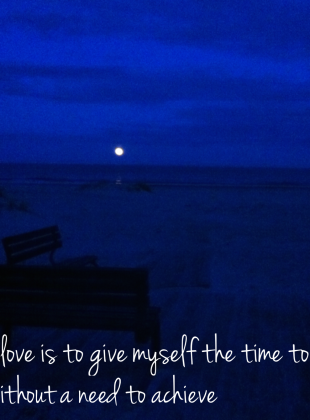 As I found myself contemplating self-love every now and then, I became more loving towards myself. I let go of some more of that negative talk we poison ourselves with. I ate better foods because I wanted to nourish my body with what I knew it needed. I listened to what my body sought and I gave it among many things rest. I scheduled my days so I did what I knew would give my mind and soul a sense of peace. And most of all I let a whole bunch of things go. Because, in the second you start putting your needs first, all the rest falls into place. It might sound a bit, or very much, egocentric, but actually I think I have been in better balance and more generous towards others this week as a result of it. By no means have I declared peace and a 100% self-love for all times, but I do believe this week’s challenge has had some amazing effects. For both me and people around me. Because if I feel good, I can make someone else feel good. And isn’t that what peace & love is all about?